Last Sunday I went to Komikon 2016 for the first time. I'm not into drawings, comics and even graphic novels but I sure did had fun bonding time with my sisters. This year's Komikon was held at Bayanihan Center Unilab Compound Pasig City and after strolling in the venue we had dinner over at well-Instagrammed Gastro Park Kapitolyo. It was my eldest sister Emalyn's idea to go to Komikon 2016. It was an annual gathering of comics creators and fans and attended by thousands enthusiast. Since it was my eldest sister's invitation I agreed to go plus my two other sisters went with us. We were able to me Sir Pol Medina Jr, the cartoonist of best known Pugad Baboy. He was very friendly and accommodating. My sister bought his latest comic book for book signing. Aside from Sir Pol we also went to the signing event of Sir Manix Abrera, the man behind Kiko Machine Komix which I must say I'm a big fan too. Sir Manix is true down to earth person and I just can't help to admire his dedication to his fans. He gives a signature artwork to each of the books during the event. Thus, the line for his book signing was really long. We spend the rest of the afternoon (3 hours to be exact) waiting for our turn. Another highlight of our Komikon experience is the book signing event of Uberman which is a local grahic novel created by a fellow PUPian alumni. While waiting for Sir Manix we were entertained by how the author of Uberman is being interviewed. And so we bought his book and went to the stage for his signature. It was written by Zeno Denolo and will be available for public consumption on all National Bookstore branches nationwide. Me with the author of Uberman who's also a PUP alumni. Nakaka-proud!!! I'm happy to be part of Komikon for the first time and will definitely put it on my event to look forward too next year. 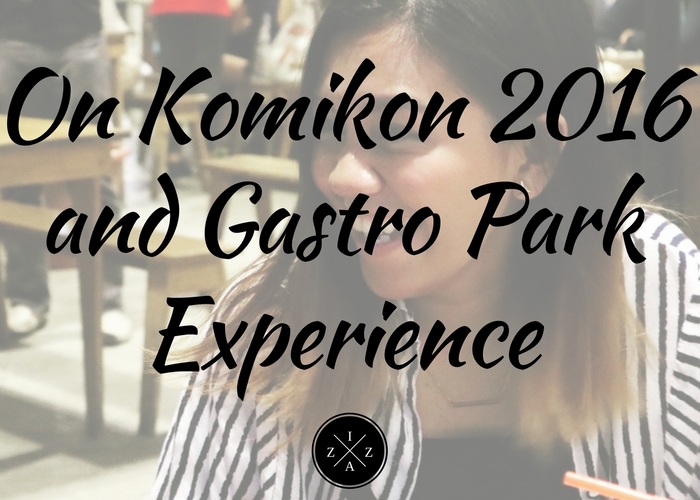 After Komikon we headed to Gastro Park Kapitolyo. I had tried Gastro Park just last week when me and Pia of www.piathought.com met for a quick dinner catch-up. I was happy that my sisters enjoyed the ambiance at Gastro Park. We decided to order from different stalls so we can taste different food as well. Of course Chamba Bowl from Surfries should be present on our dinner as our refreshments. From Robinsons Pioneer ride tricycle going to Mcdo (this is a known landmark in the area). From Mcdo ride another tricycle and tell the driver to drop you at Gastro Park. Overall I had an amazing weekend. I'm thankful that I was able to bond with my sisters over good food at reasonable price. We had so much fun at the Komikon event too. READ MORE FOOD SPOTS HERE. Were you at the Komikon 2016 too? 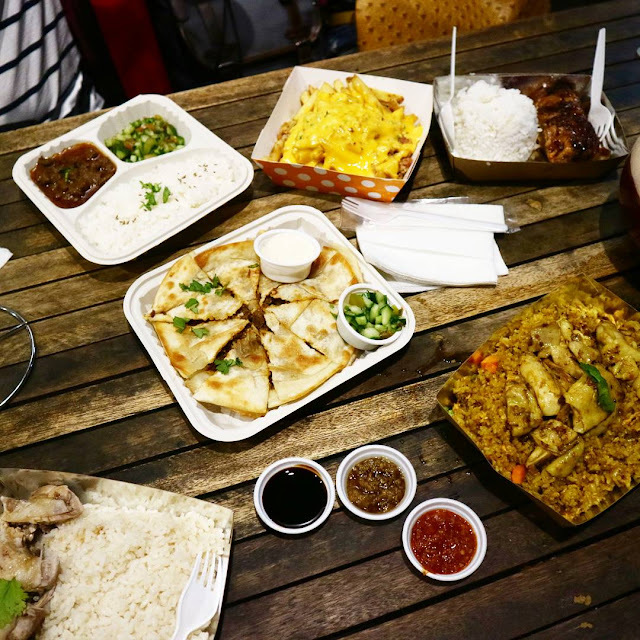 or Have you been to Gastro Park Kapitolyo? Share you experience at the comment section below.